Experts of the TPU Radiation Spectroscopy Lab carried out analysis of water samples from the Yaya River, which is a source of drinking water for the residents of Tayga town. The study was conducted under the order of Tayga administration. TPU scientists confirmed that in the submitted samples the maximum permissible concentration (MPC) of manganese is 5-10 times higher depending on the season; besides, they suggested the reasons causing the concentration increase. Locals repeatedly raised the issue of the quality of drinking water in Tayga. In 2017, there were two cases of the emergency regime in the town because of the MPC increase of manganese. As reported at the official website of the administration of Tayginsky Urban Okrug, since 12 January 2018 all emergency services have been put on high alert, and special transport supplies drinking water to the population. Experts from Tomsk Polytechnic University were invited for conducting a thorough analysis of the river water. Head of the Radiation Spectroscopy Laboratory Lyudmila Shiyan says: ‘We have analyzed 62 samples on odor, turbidity, chromaticity, PH, permanganate oxidability, total iron, manganese, stiffness, ammonia, nitrates and nitrites, chemical oxygen demand, phenol and other indicators. We also tested the river silt. Based on the data obtained, we concluded that there is no technogenic pollution. The increased concentration of manganese in water, first of all, is related to groundwater feeding the Yaya and Berezovaya Rivers. 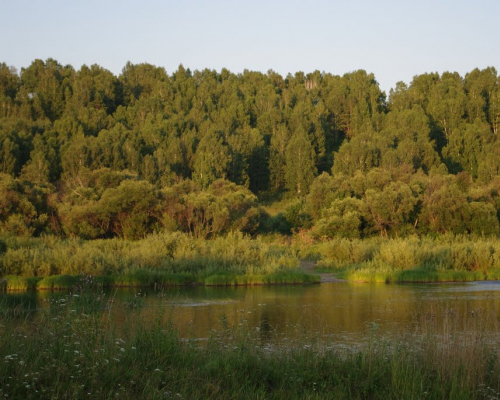 The swampiness of the territory in this area causes the increased concentration of humic substances in the Yaya and Berezovaya Rivers, which are a good sorbent for heavy metals, in particular, manganese. Humic substances with manganese ions form a complex system resistant to physical and chemical exposure used in water treatment. For obtaining pure drinking water in the alignment with the state regulation Drinking Water, a complex approach for selection of a water treatment technology is required. The complexity of the selection lies in the instability of water chemical composition varying during snow melting, rainy days and hot summer time. The extent of impurity concentration is particularly noticeable in winter when water reservoirs are frozen out. ‘Our work resulted in a number of recommendations one of which is the organization of aeration, e.g. the saturation of water with oxygen in the air. This is fairly simple and effective method of purifying water from manganese,’ notes the expert.